1101 Torrence Circle, Davidson, NC 28036 (#3470815) :: Caulder Realty and Land Co. 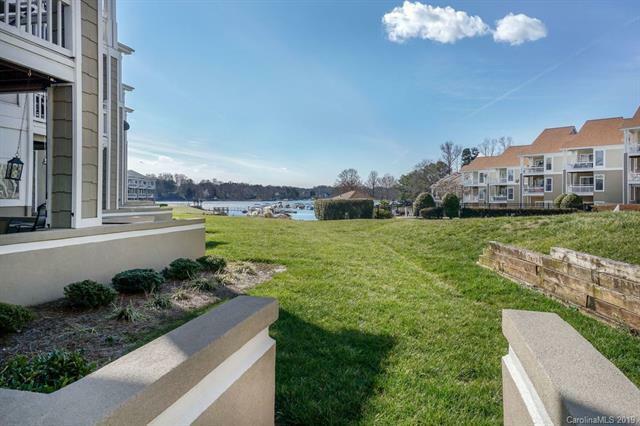 Ground floor end unit condo in the Captains Watch complex of Davidson Landing. Condo has 2 bedrooms, 2 full bathrooms, and 1,128 square feet of living space. One of the largest two bedroom floorplans in Davidson Landing. The end unit location provides extra sqft and more windows. Updates include new flooring, granite countertops, and stainless steel appliances. Access the large cover patio/porch from both the master bedroom and great room. The porch/patio area has been completed covered with composite decking.